I'm a big fan of the Musical Blades, a pirate themed band with a very entertaining and diverse selection of music. One of their songs in particular, Drunken Harpy, has inspired me to convert it to add to my Adventurous Locations series. I'm currently in the process of creating the maps, and will write the text afterwards. 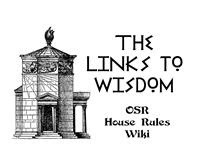 I hope to have this available for purchase on DriveThruRPG in a couple of weeks, so watch for the announcement of it. The Blades were gracious enough to grant me permission to use the Harpy as a setting and have been tremendously helpful with information and support, even posting an early preview of the cover (see below) on their fan page on facebook. 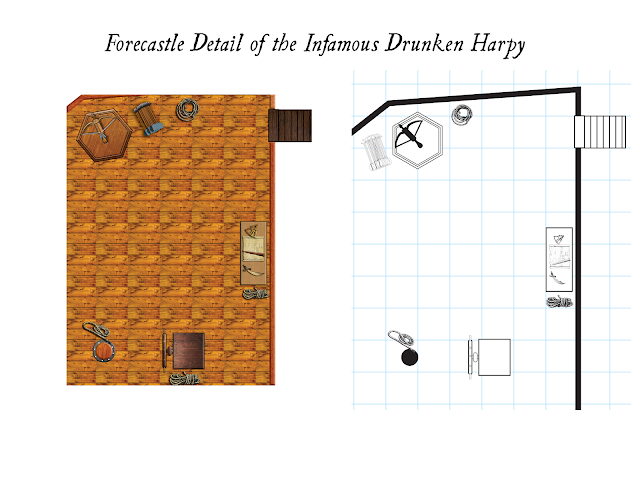 The Infamous Drunken Harpy is an oversized Galleon that functions as a floating bordello and casino and is rumored to dabble in a bit of smuggling and piracy. She's a really big boat, but I like big boats. No Lies. Final page count will determine if this one is available in both PDF and Print on Demand, or simply PDF (the most likely outcome). As with my other products, The Infamous Drunken Harpy will include printer friendly maps, and also 300 dpi maps in both full color and simple line art suitable for either printing for tabletop use with a 1" = 5' scale. The maps can also be used on your favorite VTT program. 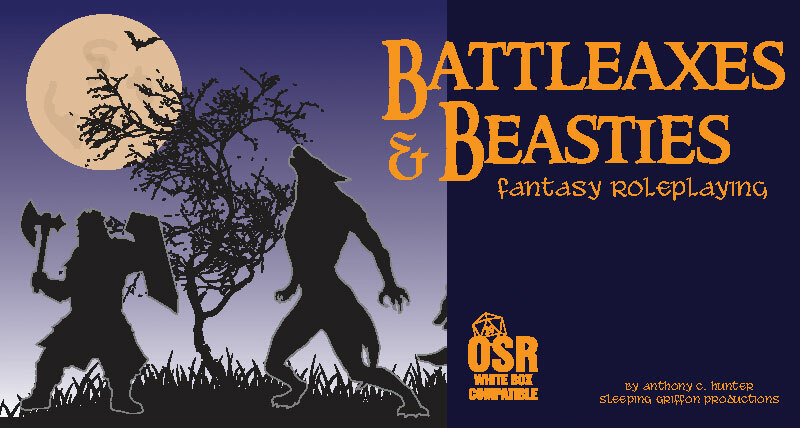 The initial release will be specifically statted to be compatible with old school games (such as Swords & Wizardry White Box) and also for the 5th Edition of the game Gary and Dave built. I may do some additional versions afterwards statted for compatibility to other properties, depending upon the response and sales. There will also be a white box Sci-Fi version of the Harpy in a few months, statted to be compatible with the White Star RPG by James Spahn. 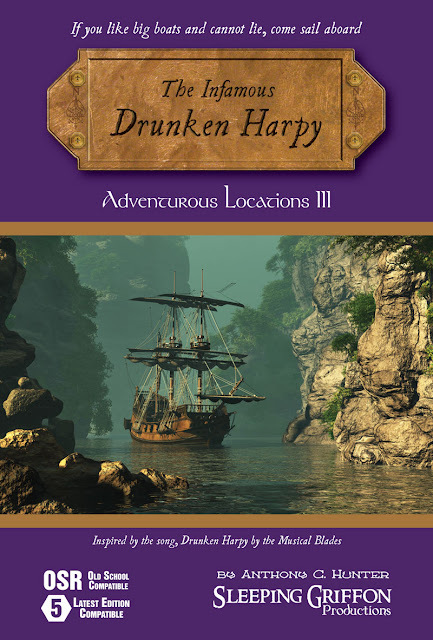 Here is the cover and a small sampling of the map of the forecastle of the Infamous Drunken Harpy. . .